*Regularly $99. Good through March 2019. *Seniors 65 + Special applies all year long! MedPhysicals Plus, LLC is Located at 4141 B. St. Suite 210, Anchorage, AK 99503. Lab services are available 5 days a week, Monday through Friday from 7 am - 3 pm. Closed for lunch between 11 am - 12 pm. You can simply walk into the office during lab hours to have our trained on-site staff draw blood and collect samples for diagnostic tests. Convenience, low-cost pricing is what we offer to clients with high- deductible insurance, no insurance/self-pay and those with limited time. We do not bill the insurance company. We also offer seasonal and common vaccination services along with Vitamin B and Super B shots. Physicians call for a lab referral form and price list. 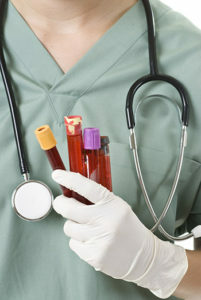 A simple blood test can save your life! No need to wait for the next health fair season. We offer health-fair prices all year long! Have questions about our walk-in lab service?